Brighton vs Chelsea - Batman to the rescue? Antonio Conte's men gave up a last second equalizer after bringing on three 1st team starters to see out the game. After 120 minutes of football Chelsea finished with 9 men because Pedro and Morata were red carded leaving them suspsended from Saturday morning's 7:30am EST game at Brighton. On a day where VAR was implemented, 3 Chelsea players (Pedro, Morata, and Willian) were yellow carded for diving. I had never seen that before in my life and having watched the game live I only concluded one offense to be a blatant dive and the other two to be bad officiating even with the help of Video Assisted Replay. Speaking of bad, Chelsea's chance conversion continues to plague them this season. The twist in this weekend's plot will be the likely inclusion of Andy Carroll Michy Batshuayi in the starting XI. 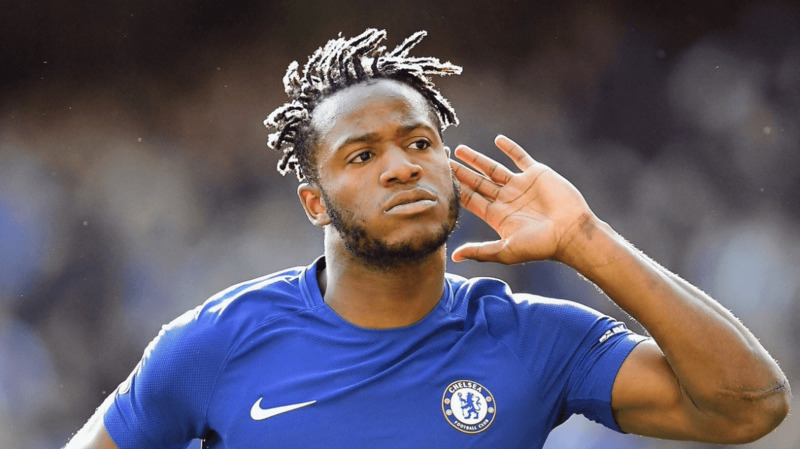 We know a few things about Michy: He was Antonio Conte's first acquisition as Chelsea manager, and he doesn't trust him. That's why even in games without Morata, he opts to play a false 9 with Hazard, Willian and Pedro. But the fallout from midweek almost certainly means he plays Saturday and he probably deserves the start as he just scored Chelsea's first goal in 4 games. Defensively Chelsea have been rock solid this season but struggle to break down teams who sit deep which Brighton are likely to do.nI'm not gonna overthink it. Until the Blues find their scoring boots I'll opt for the unders which is on a 4-0 run. We may be at the start of a good run of Bournemouth form. They just beat Arsenal at home last week for the first time ever in the clubs history, the return of Callum Wilson has added a very good scorer and an injection of confidence and their opponents this weekend just had a 120 minute cup tie midweek to boot. West Ham and Bournemouth are evenly matched and both playing better than at any points in the season. I think Eddie Howe and his squad will take momentum and a fearless gameplan to the Olympic Stadium on Saturday and coming away with a result. A few weeks ago this game wound up a 3-3 draw at the Vitality Stadium. With both teams above the drop zone the rematch is a candidate for best game of the weekend. But it feels like only one team will go marching in on Sunday January 21st at 11am. Pochettino has 3 consecutive wins over his former club and the Hotspurs are living up to their name having won 5 of the last 6 and averaging 3 goals per over that stretch. And watching the relationships between the Tottenham forwards evolve over the course of this season makes them a scary team to play at the moment. Every indication points to a comfortable Tottenham win. Southampton are in a relegation fight meaning they will try to get all the points they can BUT need to focus on the games against smaller clubs more. As a gambler this means that if they go down to a better team, they basically accept their fate and probably roll over and play dead. Option 1: Lay (-160) for let's say the round figure of $1600 to win $1000 and take what comes. Option 2: Bet $800/$500 and then look for a better line than (-160) in game. This option dies if Tottenham score early and its the risk you take. Option 3: Put Tottenham as the anchor on a Moneyline parlay with other teams you like this weekend who play Saturday or early morning Sunday - Such options may be Manchester City, Atletico Madrid, Bayern Munich all of whom play winnable home games and all of whom play prior to the start of the Tottenham game. The strategy one chooses comes down to your wagering preferences. But the pros have all the tools at their disposal and can implement any of them on a given day.